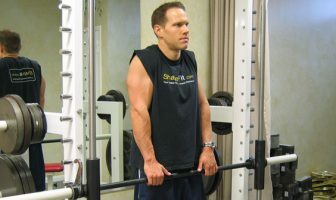 You are at:Home»Exercise»Is It Possible To Lose Fat and Gain Muscle at The Same Time? Can I lose fat and gain muscle at the same time or is that simply impossible? I wish to tighten up my body and maybe add a little muscle mass. The problem is that I like to run. I run usually 5 to 6 days a week for 4 or 5 miles in usually 30 minutes. I am now trying to add weight lifting into my running program. Is this a lost cause? Do I need to start running less or what? I only run for about 30 minutes a day. Is that amount of running still ruining my rest or what? I mostly just want to tighten up my muscles especially my abs, pecs, shoulders and arms. It’s very hard to gain muscle and lose fat at the same time. You usually want to either do a “bulking phase” when you increase your calories, decrease your cardio and keep your weight lifting to a maximum. The other side is the “cutting phase” where you will decrease calories, increase cardio and still keep lifting weights to preserve and maintain lean muscle mass. The body really wants to do one or the other, so it’s best to keep them in phases to maximize each one. If you want to add muscle mass, I would cut way back on the running. Running is very hard on the body and since it’s so intensive, you body really has a hard time packing on muscle mass since its always trying to recover from the running workouts. Try focusing on weight training solely for 4 weeks and completely cut out cardio and just see how your body responds to weight training only. Make sure to eat at least 1 gram of protein per pound of body weight and evenly space this amount over 5-6 meals per day. By providing quality nutrients to your body, you will be primed to add lean muscle mass to your physique. It’s also very important to track your physique with photos every week. 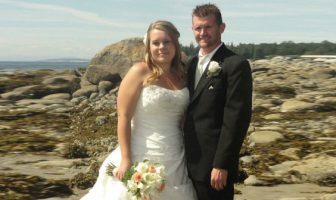 On Sunday, take out your trusty digital camera and take 3 main photos of yourself. Make sure to wear your bikini or underwear in order to really be able to see the changes in body fat and muscle tone. These photos should consist of a front shot, rear shot and a profile shot. Set the timer on your camera for 10 seconds and then either put it on a tripod or place it on a stable surface and try to leave it there for all 3 photos since you want to have a stationary position for the pictures which makes it easier to review when you go over weekly and monthly photos of your physique. It’s also good to wear the same clothes and take the photos in the same location (bathroom, bedroom, etc.) when tracking your photos. After about a month of cutting back on running and increasing weight training, look back on your photos and see how you’re doing. Have you gained muscle and become more toned or have you packed on a little extra fat due to the decrease in cardio workouts? If you’re packing on body fat, you will need to probably cut back on your overall calories or maybe include some slow to moderate cardio back into your routine. Maybe add some slow and steady bike riding or do the elliptical trainer at a moderate intensity level for 30 minutes per workout a few times per week to see how everything goes. The key here is to keep your cardio at a lower intensity than running, which is a much higher form of intense cardio exercise and can cause issues with gaining muscle mass as mentioned earlier. 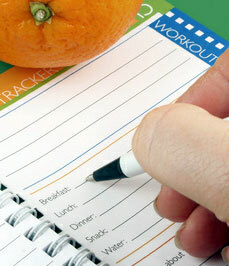 It’s also good to keep a weekly fitness journal to document your workouts, diet and your overall mental outlook. Write down how you feel, any setbacks you have encountered and your overall thoughts about your current exercise and diet plan. 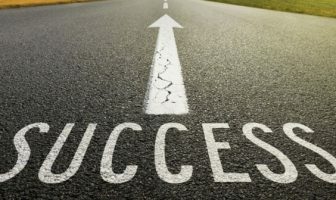 This is crucial for your overall success since you will be monitoring your progress and you can look back and see how you’re doing over the course of several weeks, months and even years. This data is so important when combined with tracking your physique photos since you can pinpoint where you need to make changes when you analyze your photos with your journal. If you are eating too many calories and your photos look like your holding fat, then use this data to make changes and cut back on your overall portions of the foods you’re eating. It’s great to be able to tweak things like carbohydrate levels, fat content and overall calories as you proceed in reaching your fitness goals. Being able to monitor and manage your exercise output, dietary input and your overall feelings about your program is one of the best things you can do for goal setting.